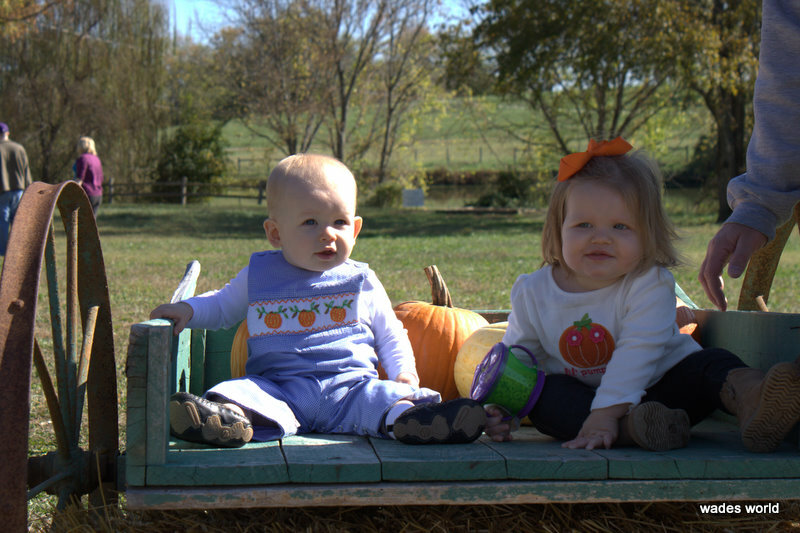 On Saturday, we met Russ, Ashley, and Mackenzie at Gentry's Farm for some Fall pumpkin fun. We wandered through the corn maze where Uncle Russ kept us from getting lost and the Munchkin (Soybean) maze where Mackenzie kept us on track. Ethan had lots of fun on the hayride to see cows and getting up close with other farm animals after the ride. We even picked out some pumpkins to take home...we'll carve them for Halloween. The best part was that the cousins got to have fun playing together! Hey Mackenzie...we could totally be farmers! With Aunt Ashley...getting ready for the hayride. Here's a cute one of the cousins I stole from Aunt Ashley's site. Birthday Boy: One Year Old!